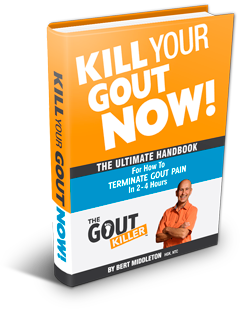 As you well know, gout is a painful condition that has been known to wake people from a dead sleep. It often manifests itself through any joint, but is most prominent in the big toe. 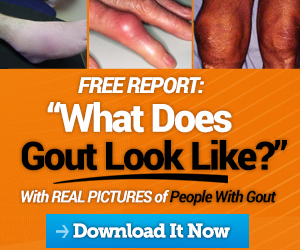 Millions of gout sufferers from all over the world are seeking relief from gout pain, but don’t want to rely on gout medications. Massage is one of those natural methods that offers a way to avoid that intense pain through the wise use of gout prevention. While massage is known for addressing pain and discomfort, does it really provide relief to gout sufferers strugglers or cause problems down the road? Read on and we’ll tell you more about it. Your drink combo to relieving gout attack helped me more then you know, thank you again. Still hanging in there with staying on better foods going forward. Health and fitness goals are helping to reinforce to continue chosen better lifestyle choices. Should You Massage The Affected Gouty Joints? Massage therapy seems to provide relief for most gout sufferers. However, majority of massage therapists believe that massaging the sore, gouty joints is definitely not a good idea. In fact, massage should be avoided if you happen to be suffering from a gout attack as it can do further damage to the affected joint. Remember, we are dealing with sharp crystallized uric crystals. It will add to the pain you are trying to endure. During a period of inflammation, it would be best to rest the affect area. But in between gout attacks, receiving massage can be beneficial. Since massage is known to improve blood flow and blood oxygen saturation, it is wise to massage the affected joints to soften the tissues, get your previously affected joints back in shape, and increase much needed blood circulation to those gout ravaged areas. While gout cannot be cured, it can be controlled with a number of natural remedies and treatments. Massage is helpful in the management of gout with the previously mentioned improvement of circulation to the affected joints and its surrounding tissues, which speeds healing time by reducing swelling and inflammation. This will also help limit spasms from tense muscles and joints and will reduce your pain in the future. A very important and overlooked bonus of massage in general is the improvement of lymph drainage and flow. Because our bodies have more lymph and lymph vessels than blood and blood vessels – with NO pump like the heart to pump it all around – getting an overall body massage on a consistent basis is very good for helping to keep the liver, kidneys and pathways of detoxification and elimination clear and working well. A regular practice of massage may very well solve all of your gout problems. ☆ Bottom-line: Massage should be performed by an experienced massage therapist to avoid any undue discomfort and for maximum benefit. Receive a few massages every year and manage your condition the natural way. 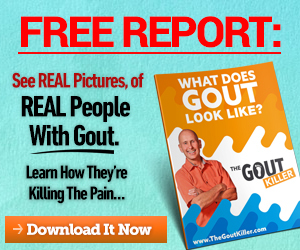 2019 – The Year of The Gout Killer! 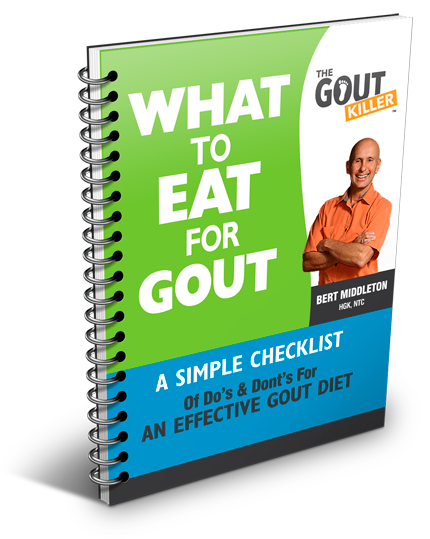 "The One Thing To Do About Gout"
"How Do Good Dietary Fats Help With Gout?"